Wedding Magazine BröllopsGuiden shows in the no. 1 2015 Jessica and Eric's lovely wedding. As a wedding photographer, it was a great day to be a part of. They married in Solna Church and had the party at the Kungliga Borgen (Royal Castle) in Gärdet in Stockholm, Sweden. 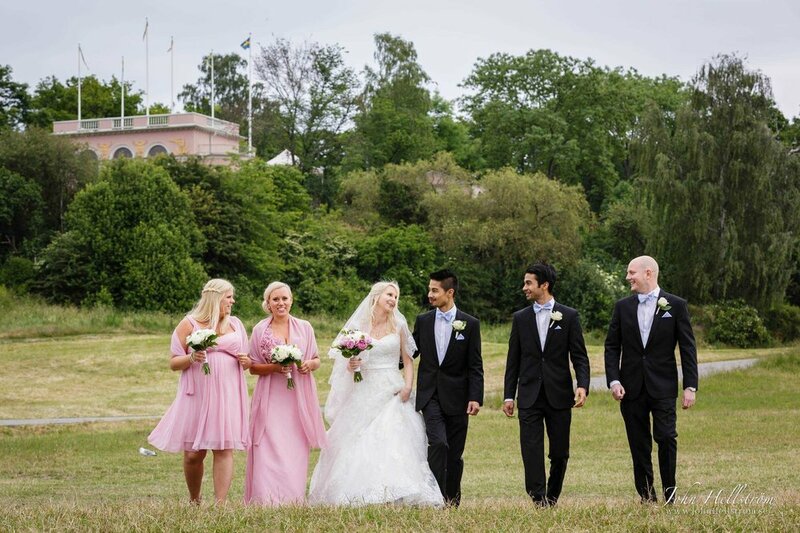 The picture on top shows when the wedding the couple walked together with their bridesmaids and groomsmen outside the Royal Castle, at Gärdet in Stockholm. See their engagement photographs in Stockholm on my blog, as well as a slideshow from the wedding here. 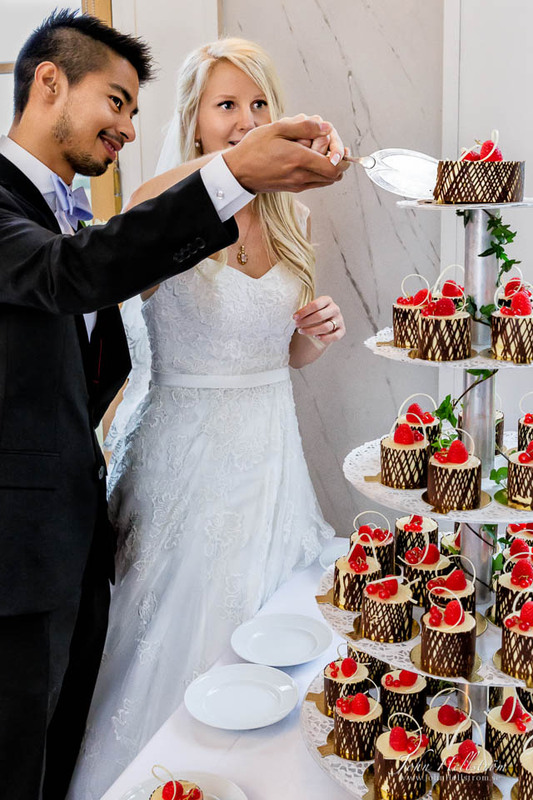 Wedding couple cutting cake during their wedding celebration in the Kungliga Borgen (Royal Castle) - yum! See Jessica and Eric's lovely wedding with lots of partying at the Bridal Wizard Wedding in Stockholm No. 1 2015 The magazine BröllopsGuiden is for those who plan, will host or dream about a wedding! They show among other wedding traditions, trends, and the latest news from the wedding industry! BröllopsGuiden comes out in 2 issues per year. The magazine is available in the Pressbyrån eller digitally here. See wedding photographer John Hellström from Stockholm, Sweden in the BröllopsGuiden register too.